Q: Can you design a logo including shirtless images of boxers? Angle: A logo that punches above its weight. The brief read like this: Alex Leapai is one punch away from the greatest story in sports. 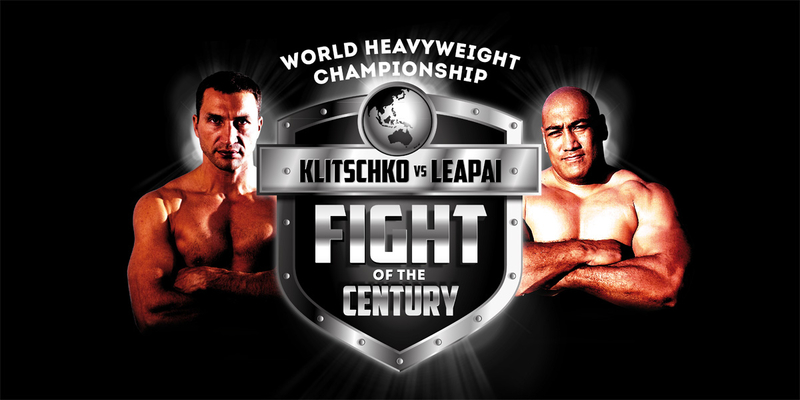 On April 27 he will become the first Australian to fight for the Heavyweight Championship of the World for an incredible 106 years. The Queenslander is taking on the greatest fighter of this generation – Wladimir Klitschko – for his IBF, WBO, WBA and IBO belts in what will be the Fight of the Century. There’s no room for design subtlety in this project. Angle designed the event logo with a powerful right hook, to KO the boxing fraternity across Australia and New Zealand. 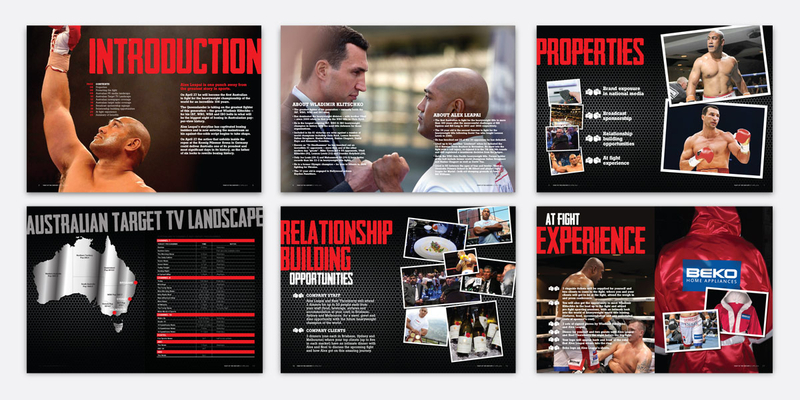 Aftre creating the event brand, Angle worked with the promoters on multiple, high quality proposals to help secure a naming sponsor for this World Heavyweight Championship fight.